I had the pleasure of visiting Spain. I am a budget-friendly girl so I wanted to share what I did to have a trip that was both enjoyable and reasonably priced. I will include some of my tried and true travel trips. You see even if you only have two days in Madrid you can see the city and get a taste for what makes Madrid so wonderful. Walk – we did a lot of this. We used Google Maps and found our way around the city. Bicycle- You can rent these in the city and ride away. Hop on and off again bus- I would buy the two-day pass to save. We found this was a wonderful way to see the city and not get lost. Metro- You can buy a pass that allows you to travel multiple times and you can buy a single pass and use it for multiple people. I would avoid cabs. If you need one do not let your hotel order it for you. I would go to the end of the street and look for a car with a green light. Cabs accept Euros and Credit cards. How do you save on lodging? I noticed several hostels in Spain. They are very reasonable. We stayed in a Hotel Quatro https://www.hotelquatropuertadelsol.com it was reasonably priced and it included a plentiful breakfast. The rooms were clean and it was located in walking distance to the center of town without having to deal with the crowds. Ah, the best part of every trip is food! I can say this because I walk about 8 hours each day. This is my best tip for cheap eats. You stay at a place with free breakfast. Then we went to the cafe and at for under 10 euros for lunch. There are several places when you can get a small plate, sandwich, or meal. Then for dinner plan to spend under 20 Euros, there are several places that offer tasting menus where you have multiple courses. The other thing we did was order paella and we found we could split the meals since they were so plentiful. We also ate our desserts right from the bakery counters. We found that going on the side streets not only resulted in the best meals but they were the most authentic and reasonably priced. We went to Sobrino de Botín (Casa Botin) for lunch. It was okay and it wasn’t budget friendly, however, it is Ernest Hemingway’s favorite restaurant. It’s the oldest restaurant in the world. It was a once in a lifetime opportunity.- Note you will pay for bread, water, and tip is included at 10%. Then buy a hop on and hop off bus ticket for two days. We paid 40 euros for two days. The hotel should sell one at a discount, however, look on your phone to confirm the best price. Walk to the bus stop and ride the bus to see all the attractions. If you want to buy these attractions I would do so online. They are cheaper you can print out your passes or use your phone. We found buying at the door cost more money. When I talk about buying items make sure that you have not only told your credit card you are traveling abroad find out the fees for using their cards. Then find out if it makes a difference if they charge you in Euros or dollars if you are based in America. I’ve always wanted to go to Spain. They have such lovely history. 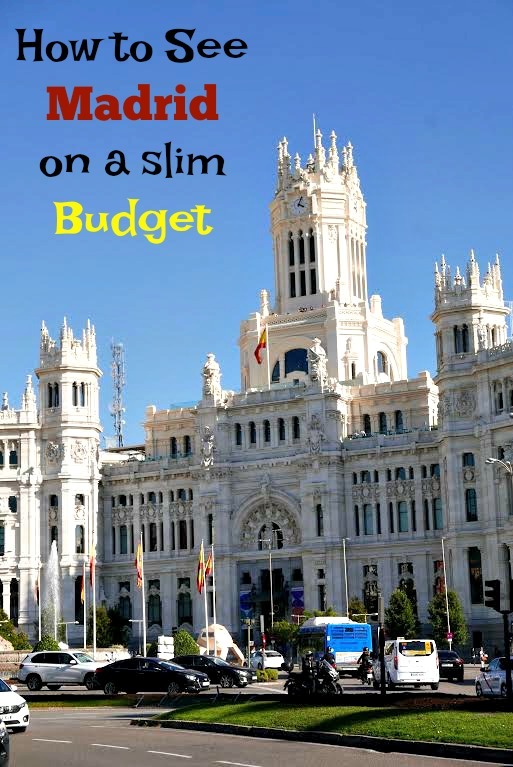 Madrid is definitely on my bucket list but we are waiting for our son to be a tad older so that we can justify spending that kind of money on a plain ticket. Madrid is amazing! Those hotels are beautiful! What an experience. I would love to travel to Madrid Spain and stay at the Hotel Quatro! Wow, the Sobrino resturaunt sounds like a great experience! I would love to go to Spain! I always love to explore the side streets of a new place! They hold amazing secrets you might not see on the main streets! Oh I would love to go to Madrid some day, I think our next trip will be to Jerusalem though. Madrid looks amazing. Adding it to my travel bucket list. I have never been to Spain, but I have always wanted to. Making sure it’s on the bucket list after the kids leave the house! Wow looks amazing. Would love to travel there one day. 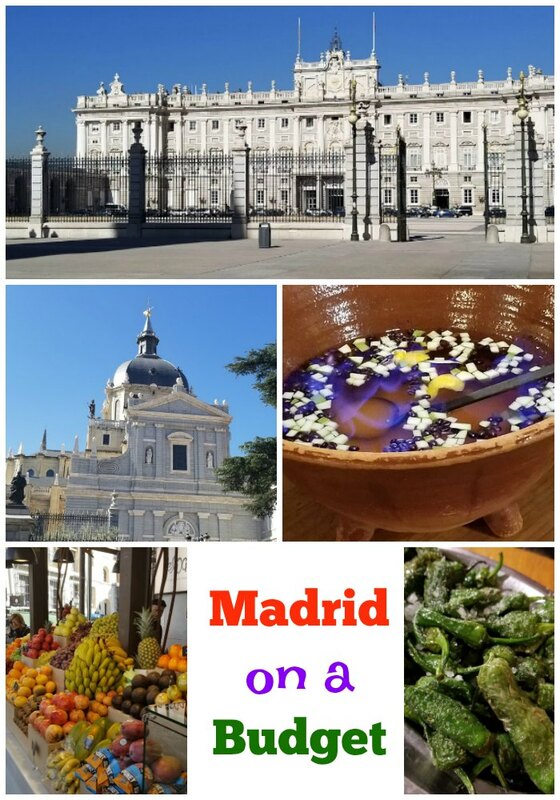 I love to visit Madrid soon it seems like an awesome vacation for my mom daughter and I. Great site will be visiting it on a regular basis! Great site will be visiting it on a regular basis! This is my go to site for my next vacation. What a wealth of information! Thank you for the lovely photos as well. 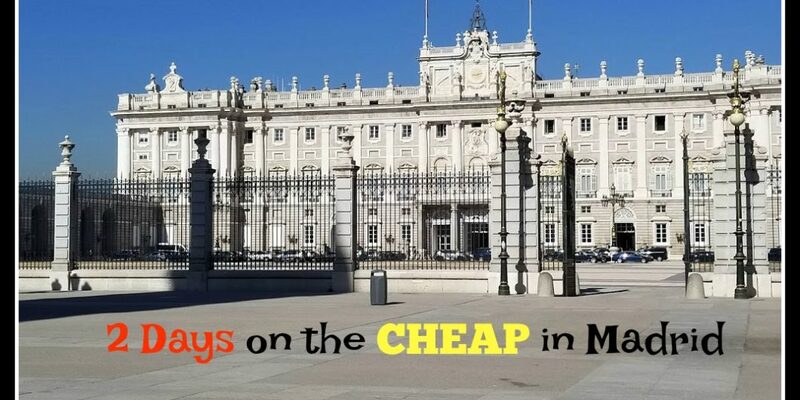 Madrid can be done on a budget and there are certain dates that most of the museums and attractions are free. I think that on 12th of Octomber all museums are free entry.